Pour the yogurt in a cheese cloth and let it hang in the fridge until all the moisture gets out. Scrape the resulting labneh in a large thick copper pot. Stir in the water. and cook on high heat stirring incessantly until it gets thicker. Add the salt and continue cooking and stirring incessantly until it passes the spoon test. Fill dry and clean glass jars to the top while the cooked yogurt is hot. Keep the closed jars in a dark, humid place. 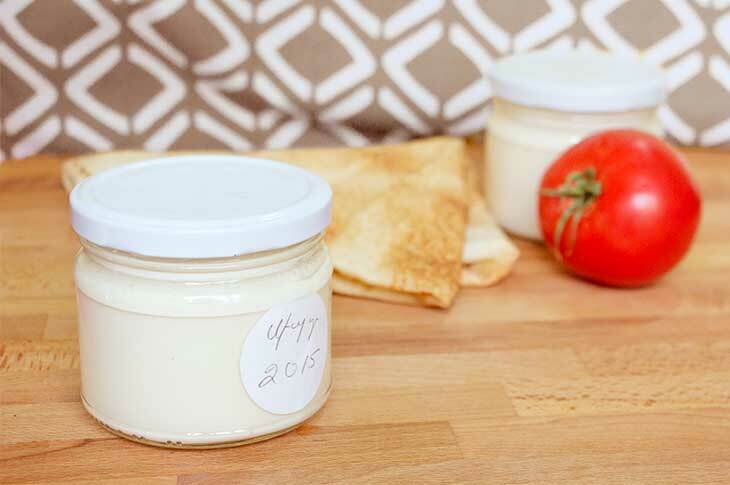 Cooked yogurt is a special condiment we prepare that we mostly use to prepare some of our favorite soups. However, we also enjoy this condiment as a spread in one of the most delicious sandwiches mom makes: cooked yogurt and tomato sandwich.. Yummy!! We use cooked yogurt to make soups. After opening the jar, keep it in the fridge.